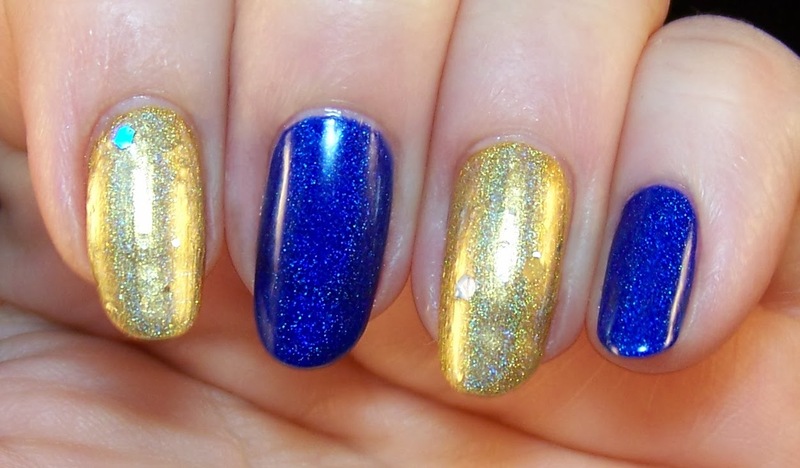 Rockjewel Nails: Rockjewel celebrates the Swedish Olympic participants! 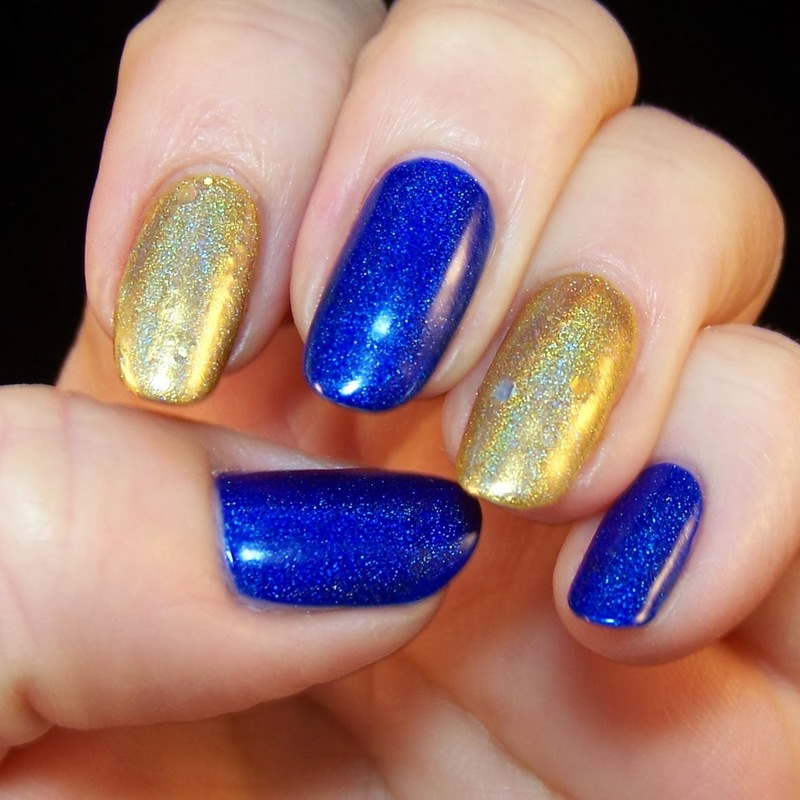 Rockjewel celebrates the Swedish Olympic participants! OK, we didn't win against Canada in the Olympic hockey final, but silver is also a precious metal to be proud of! And Sweden have done the best Olympic winter games ever, 15 medals!! Most of them to the cross-country skiing-team, but also medals to the curling teams, Anna Holmlund in ski-cross and as said the hockey-team. Well done!! 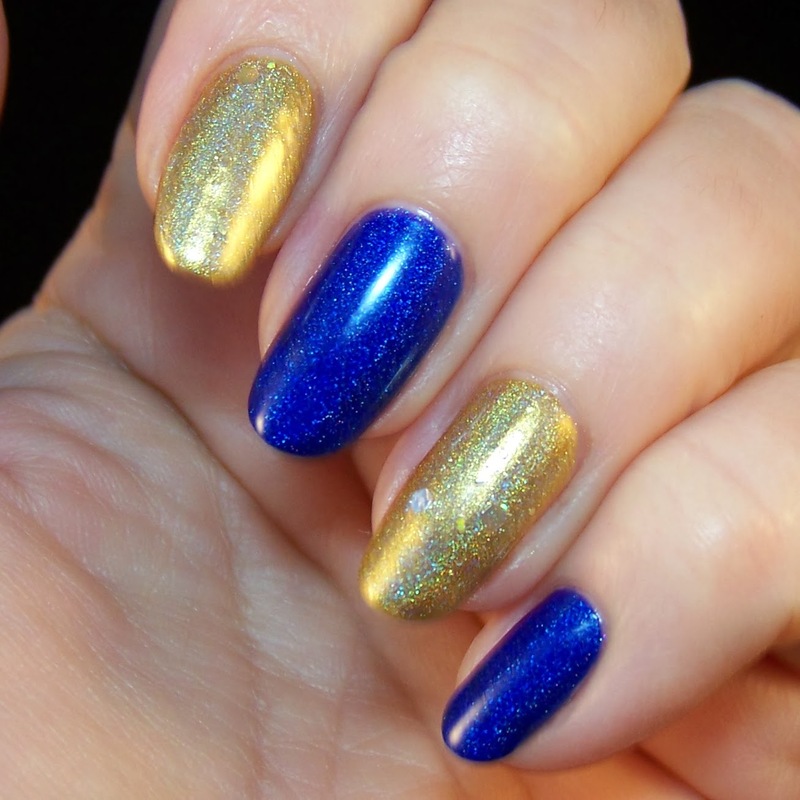 I celebrate with a fantastic blue holo nail polish from Lilypad Lacquer: A Balt Out Of The Blue, a gold holo from Jade: Mystic Gold topped with a shimmering polish with glitter from Darling Diva: Stripper Pole. 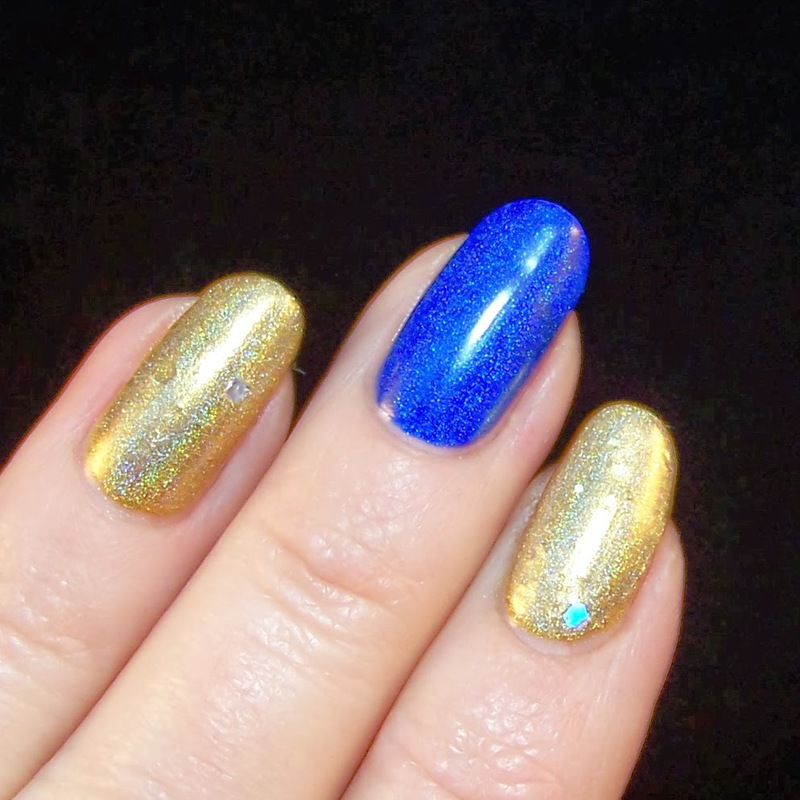 I will probably do a full manicure of all each one of these three polishes so I will not say anything specific about them at this point, except that all three are fabolous!